The Reader Organisation in South West England have been running Library Memory Groups in Wiltshire in conjunction with Wiltshire Council and Wiltshire Clinical Commissioning Group for nearly a year now, with the four groups across the region attracting regular members as well as offering volunteering opportunities to people who enjoy reading and have the spare time to assist in facilitating in the groups. Our Library Memory Groups in Wiltshire currently run in Warminster and Mere Libraries on Wednesdays and Royal Wootton Bassett and Pewsey Libraries on Thursdays (full details on our website). 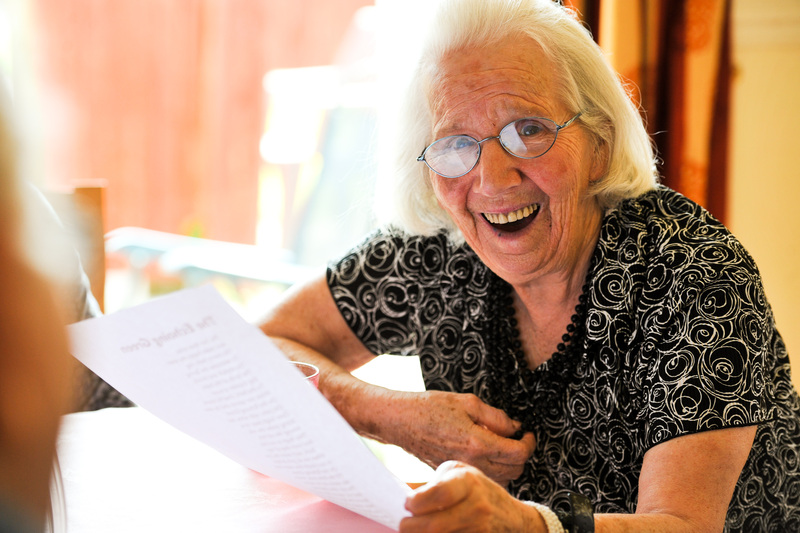 Library Memory Groups are especially designed for people living with dementia and other memory loss conditions as well as their carers to connect through shared reading and in many cases rediscover literature and the many memories and experiences it recalls. The group leader – Josephine – reads the poetry or short stories aloud in each session, allowing the literature to come to life within the room and for the members, with discussions following on. As with the rest of our volunteering projects around the UK, our volunteers in our Library Memory Groups are highly valued, helping us to bring shared reading experiences to more people as Assistant Group Facilitators.For a small amount of time each week – one and a half hours – you can make a difference to the lives of people with memory loss, absorb yourself in great literature and receive fully funded training from The Reader Organisation: our next specially commissioned Read to Lead training course in Wiltshire is running in February 2015. If you’re in Trowbridge, you can get a taste of shared reading in our Library Memory groups at a special Christmas themed taster session at Trowbridge Library on Thursday 18th December, 2-3pm. Come along to relax, read, listen and talk about stories and poems, carers welcome. Contact Josephine at josephinecorcoran@thereader.org.uk or call 07812 238503 for more information. There will be more sessions coming up in the New Year, so stay tuned to our social media channels for more details.